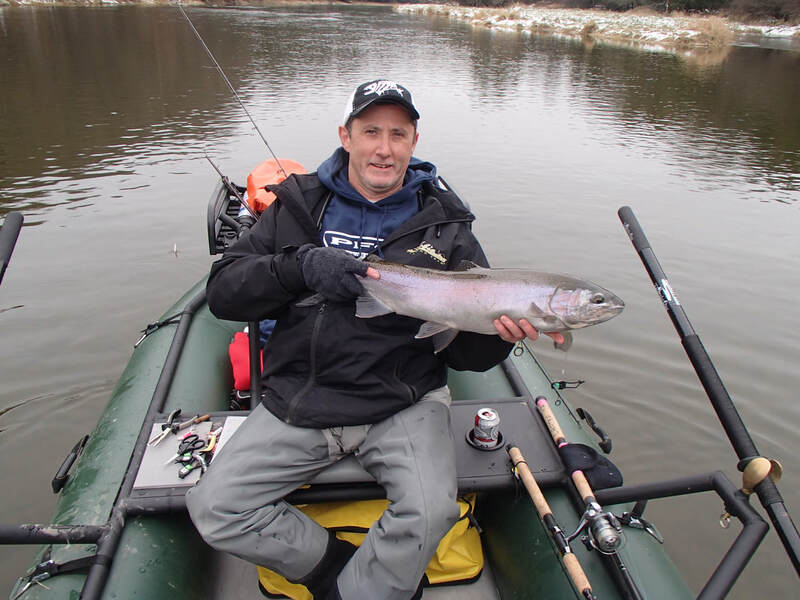 Nomad Fishing Adventures offers several drift boat fishing options on Southern Ontario rivers depending on the seasons. 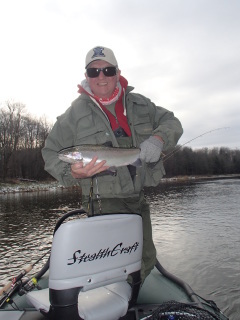 Spring & Fall Steelhead, and Summer-Fall Smallmouth Bass are our most popular trips. Choose from a variety of fishing methods such as centrepin fishing, float fishing, fly fishing, and spin casting. Species consist of salmon, steelhead, migratory and resident trout, smallmouth bass, musky, northern pike, and walleye. Saugeen River drift boat trips, Grand River, and a few others are available. Trips run from April until late December. All trips are subject to fluctuating water levels. Be sure to book your fall smallmouth and steelhead trips because they won't last long! and $399/two 6-7hrs, depending on location. Inquire for exact rates on your trip.